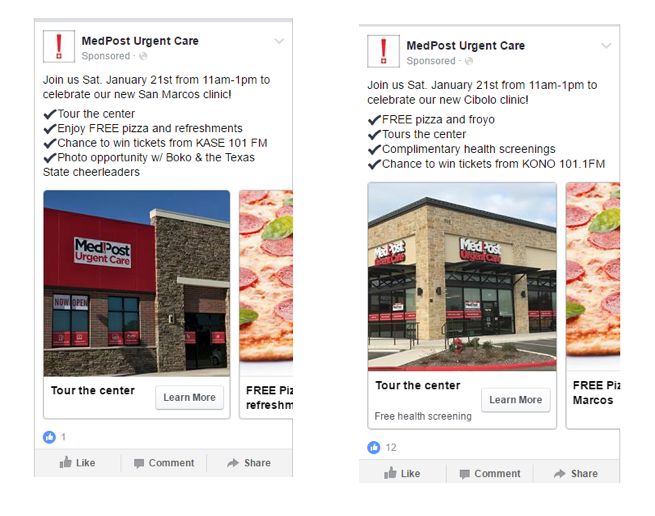 MedPost’s branding needed urgent care to get noticed by a larger audience. With centers located in Georgia, Texas, California and across the country, MedPost is one of the most trusted names in urgent care. 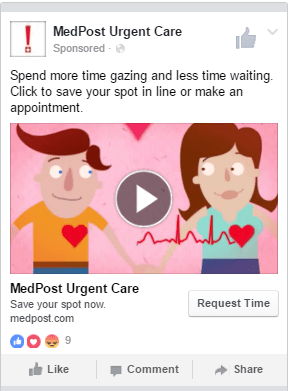 Despite their success, however, MedPost had grown increasingly frustrated at the increased cost to advertise in the urgent & immediate care space. They turned to Cardinal for PPC help. After our preliminary audit of their existing strategy, we recommended a shift in their approach to include a more aggressive brand awareness campaign alongside traditional PPC. Prior to partnering with Cardinal, MedPost had invested considerable money in traditional marketing tactics into trying to better establish themselves as a household name across their 9 key markets. In addition, lower funnel keywords such as “urgent care” were becoming increasingly competitive as more brands entered the arena. This approach alone began to seem unprofitable. We recommended implementing brand-name focused programmatic display and paid social campaigns, designed to increase brand awareness of the MedPost name. 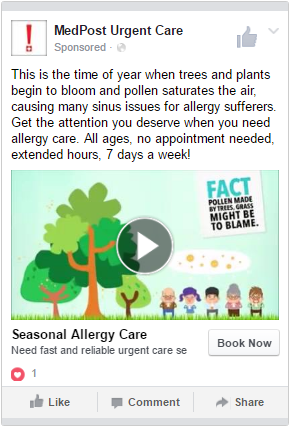 In other words, our goal was to get MedPost’s target audience to instinctively connect MedPost to urgent care so that rather than search for competitive non-branded words, they’d search for MedPost first. 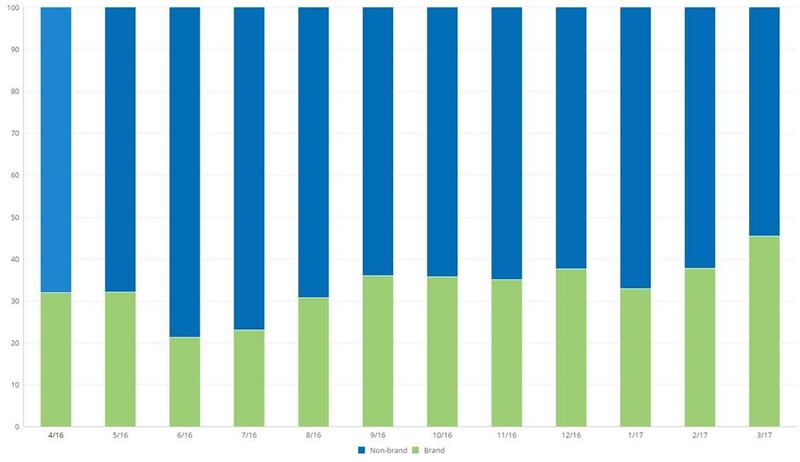 By focusing on the intrinsic connection between MedPost and urgent care, we began to see decreased costs in PPC. Through exhaustive audience, site placement and keyword research, all focused on our client’s target objective, we created campaigns designed to show MedPost ads on webpages related to top-of-the-funnel search and in front of users who would eventually need our services. 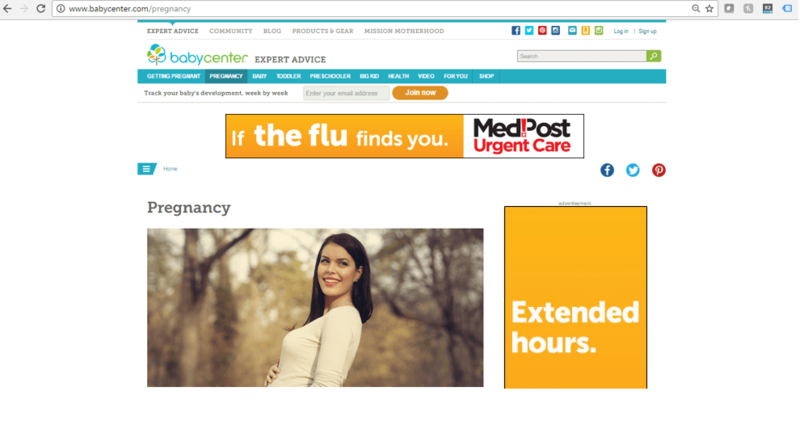 This particular ad speaks to the mindset of an expectant mother and is likely to register with her if/when the flu does find her or her child. 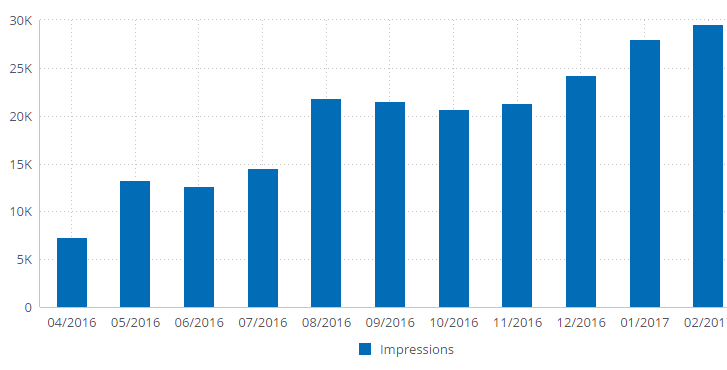 The overall cost to acquire a highly sought-after brand conversion decreased 17% in the first month of our display strategy. And there is no sign of slowing down. These types of campaigns are designed to pick up more steam and deliver even more impressive results, over time as our audiences continue to be exposed to our displayed ads.